Technology is getting better at figuring us out. Facebook recognizes our faces in photos; an ad for a pair of shoes we left in our online cart follows us around as we browse the web; Siri recognizes our vocal patterns. And two new entries into the skincare category are proving that the movement is happening in the beauty world, too. 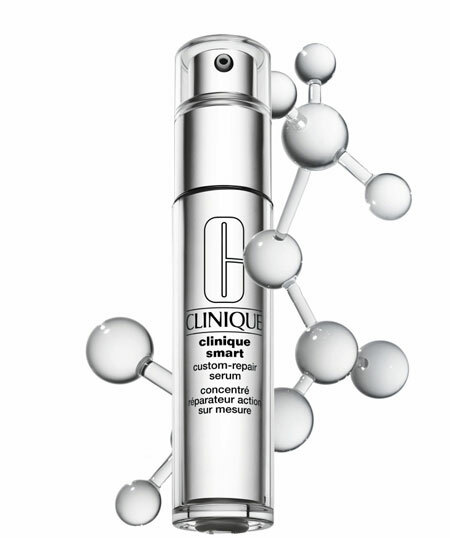 The first is Clinique’s new Smart Custom-Repair Serum, which debuts today at the brand’s counters and is already available online. It’s a one-size-fits-all skin product with a twist: The formula contains all the ingredients your complexion could need, whether your concern is uneven skin tone, dark spots, dullness, lines, wrinkles or lack of firmness. According to Clinique, these actives wait on standby to receive distress signals from your skin, then swoop in to respond to your unique, specific issues. 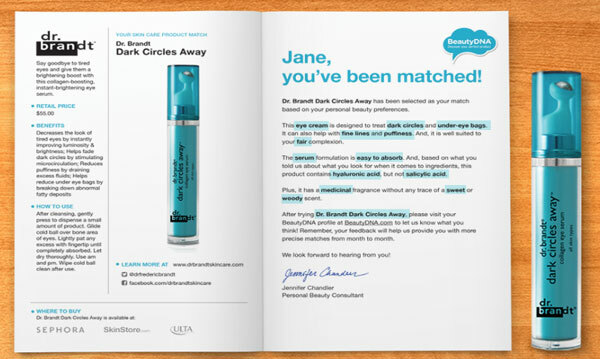 Not being molecular biologists, we don’t entirely understand how the process works, but Clinique has the before and after results to back it up — the company conducted clinical trials on women of eight different ethnicities who had at least three skin concerns each (you can see them on the brand’s website in handy interactive slider form). However, what strikes us as the real breakthrough here is that this serum packs so many different active ingredients into a single formula without having them work against one another. No more layering different serums or shopping around for a holy grail product that meets all of your skin’s needs. Beauty DNA's custom product recommendation service. At the same time, another company is making that very process of shopping for the perfect product much easier. BeautyDNA is a new website that bills itself as “the Pandora of beauty.” For $25 a month, users subscribe to the service which uses their personal preferences (obtained through a somewhat lengthy survey) to choose their ideal skincare, body and hair products. The recommendation engine looks at everything from fragrance preferences (do you like floral scents, or not so much? 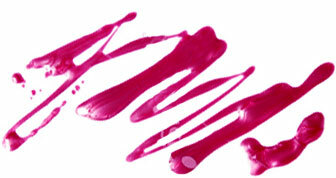 ), ingredients biases (not into parabens?) and skin and hair types. Then the company sends a full-sized product along with a fact sheet explaining why it was chosen for you. When a couple of us at Beauty Blitz tried the service, we both received full-sized products that retail for much more than the $25 membership fee (I got the Gwyneth Paltrow-approved Restorsea Rejuvenating Day Lotion SPF 30, which sells for $150). The bad news is that the company doesn’t accept returns if you don’t like a product, so you’ll want to be honest in your survey. After all, technology can’t read our minds — yet.